Monkey Farts Candles - LIVE, BELIEVE, INSPIRE. Intentional Energy poured into each and every single one of these handmade candles. Created to energetically clear the energy in the room for those times when you cannot do so yourself. HandMade with Love and Pure Intentions to serve the highest good of us all. These candles are not a cure for any illness in any way but serve to help you to help yourself. Helps to promote positive nature in one's life. 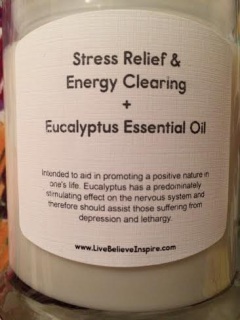 Eucalyptus has a predominately stimulating effect on the nervous system and therefor helps to assist those suffering from depression and lethargy. 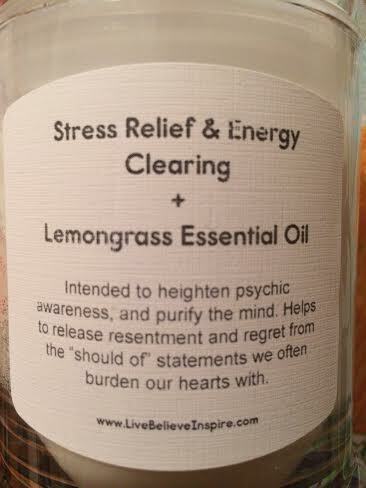 12oz Candle - Lemongrass - Created to aid in the Energetic clearing of a room as well as Stress Relief. Intended to heighten psychic awareness and purify the mind. Helps to release resentment and regret from the "should of" statements we often burden our heats with. 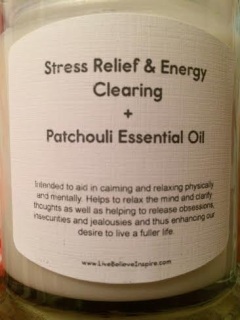 I highly encourage all to use this candle during meditations that involve self reflection as well as meditation to help you connect with your higher source. 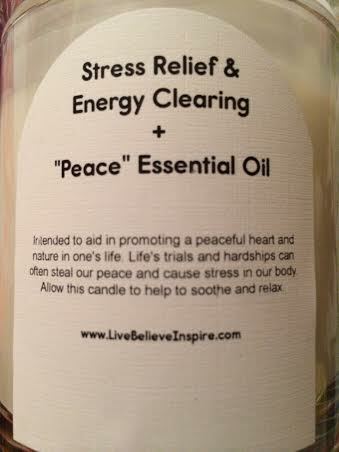 Monkey Farts 12oz - "Peace"
12oz Candle - Peace - created to aid in the Energetic clearing of a room as well as Stress Relief. This is my own special blend of oils, Intended to aid in promoting a peaceful heart and nature in one's life. Life's trials and hardships can often steal our peace and cause stress in our body. 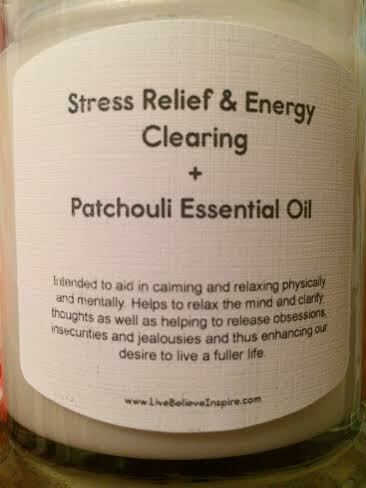 Allow this candle to help to soothe and relax. We might look like nothing more than physical bodies, but in reality we are all made out of electricity; we’re all giant balls of light (or sound) that fill and sustain our bodies, but expand beyond them too. This energy holds who we are, our thoughts and memories, our emotions and stories too. What we truly are is a giant, brilliant, growing, changing and ever evolving collection of all these things: ENERGY. Think of it this way energy can sometimes stick like a velcro. It picks things up, it holds onto things it isn’t meant to, long strings and stories get all tangled up in it on our journey through not only this life but past lives too. Our own things get all caught up in it, but so do the things of other people. The muttered curse toward that person in the car who just cut us off. The grumpiness of our kid’s this morning. Arguments, hugs, even wishful thoughts about us, how about all that time our mom spent worrying about us and we didn’t even know. Energetically we should be clearing and cleansing daily through meditation, visualization and intention. That’s where Clearing comes in. Energy Clearing is a subtle, non-intrusive work, that allows us to energetically clean house (our auric fields) ridding us of what no longer serves our highest good. Clearing doesn’t just effect the energy that we pick up off others and from the environment around us, it also allows us to clear our past lineage that we've been holding onto. It releases old patterns of thought and helps to shift belief systems that aren’t serving us anymore. It opens and lightens, it shifts and moves and invites flow in all kinds of ways into our life. It helps to move us beyond the limitations that sometimes we didn't even recognize were there. Personally these are some of my favorite meditations to use in the morning and evening but please remember there are so many different techniques out there to help us cleanse and clear so find the one that resonates with your heart.